To initiate the process to set up charging stations at various locations in identified cities, public sector undertakings in the energy sector like NTPC, Power Grid Corp and Indian Oil are likely to come onboard. 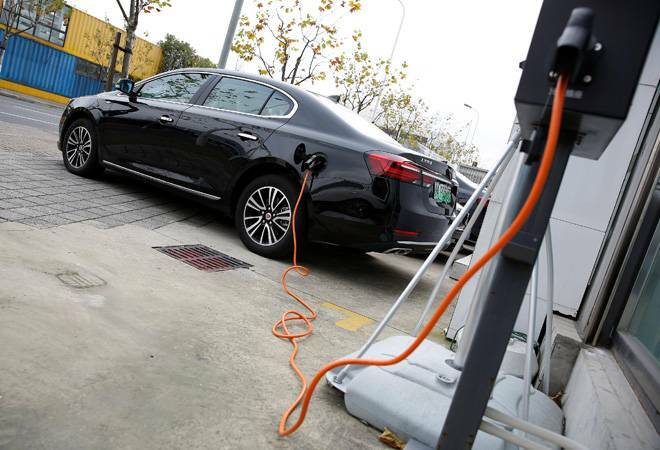 The Central government has reportedly proposed to install charging stations for electric vehicles in big cities. These stations would be put at every 3 km in cities with population over a million and every 50 km on busy national highways. According to a report in The Economic Times, a senior government official said that in the next 3 years a phase-wise construction of infrastructure would be required, which would mean putting up 30,000 slow-charging and 15,000 fast-charging stations. The official said at least two high-charge points and one fast-charge point should be there at every three kilometres in cities. Also, there should be electric vehicle station every 50 km on highways. Those who would like to set up the infrastructure would also get fiscal incentives from municipal authorities along with land facilitation. For the allotment of land for the charging station building project, government would provide it to the companies that wish to install stations, the report said. To initiate the process to set up charging stations at various locations in identified cities, public sector undertakings in the energy sector like NTPC, Power Grid Corp and Indian Oil are likely to come onboard, it added. NTPC is already involved in the set up of such projects in Maharashtra while Power Grid Corp last week said it signed an agreement with L&T Metro Rail (Hyderabad) Ltd to develop charging infrastructure in Hyderabad at metro stations for e-cars and ethree wheelers. Maruti Suzuki chairman, R C Bhargava had earlier said that Maruti was planning to build electric cars but that the government still did not have a roadmap to achieve its target to electrify all new vehicles by 2030. He had said that sales of electric cars in India still remained negligible as the cost of batteries were very high which made the vehicles expensive for many customers. Lack of infrastructure, he had said, was also the reason for the scenario. Nitin Gadkari, the minister for road transport and highways was the first person to first flaunt the idea of having electric vehicles to account for 100 per cent of all new sales by 2030. But in February, Gadkari said there was no need for a policy on EVs despite vouching for it over the past one year. The Society of Indian Automobile Manufacturers in December last year came up with a white paper that stated electric vehicles will constitute 40 per cent for the overall new car sales by 2030. The apex carmakers' body had predicted a 100 per cent electric vehicle sales by 2047.